Cannot be used in Arena. This item is one of the rewards that comes from the Unsealed Chest, which drops from the Lich King the first time he is killed by someone with Shadowmourne. 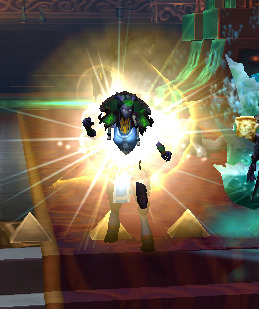 It is a tabard that looks similar to the Argent Dawn tabard and has an on-use effect that encases the wearer in a very bright glow.